Local educators! We need your input! 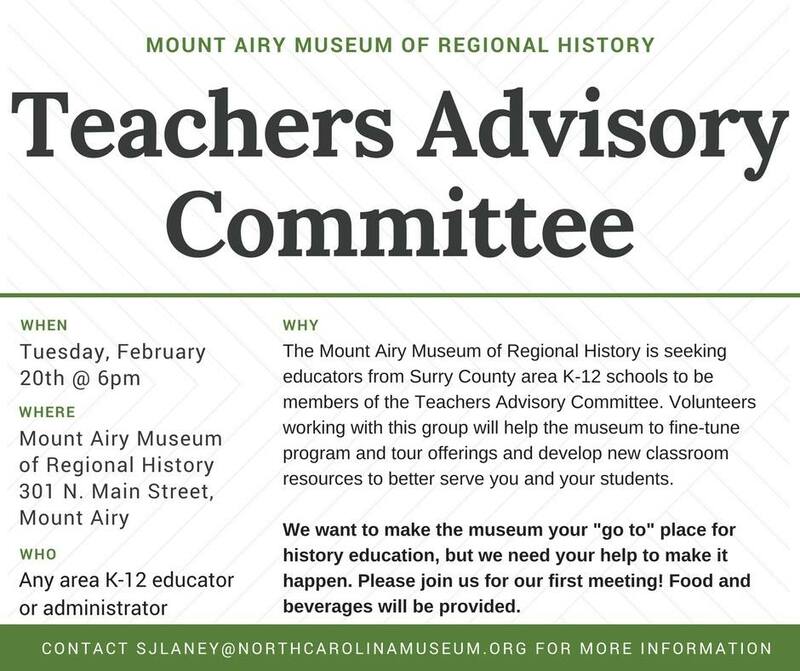 Help us make the Mount Airy Museum of Regional History an even better resource for you and your students. Want more information on the Teachers Advisory Committee? Contact Sonya Laney sjlaney@northcarolinamuseum.org. Please share this with any educators you may know!